Have you seen some people tell stories, and wished you too could tell a story like that? Holding your audience spellbound – whether it be little kids or grown adults? Geeta Ramanujam is easily India's best known storyteller and teacher. And now she is teaching at the most inspiring venue ever - the Himalayas. In this three day workshop you will learn every trick in the storytelling book. You will learn how to craft a great story. You will learn to use your voice and your body. With only ten learners, each student gets a lot of time and personal attention. ONce you master storytelling, you will be a better teacher, a better parent, and a lot more fun to be around. At the end of the three days, you will be awarded the beginners certificate in storytelling from Kathalaya. Scroll down or click here to learn more about Geeta ma'am, and see the day-wise course details. How much : INR 32,000 (Includes 3 nights, Twin-sharing stay, food, taxes and all sessions + certificate). How to attend : Pay 50% of the workshop fee now, and pay the balance one week before the workshop. Email any questions to chetan@himalayanwritingretreat.com . Only ten participants accepted on a first-come first-serve basis. Click the "Book Now" button and pay INR 16,000 to secure your spot. Geeta Ramanujam leads this workshop. Geeta is an internationally renowned storyteller and teacher. 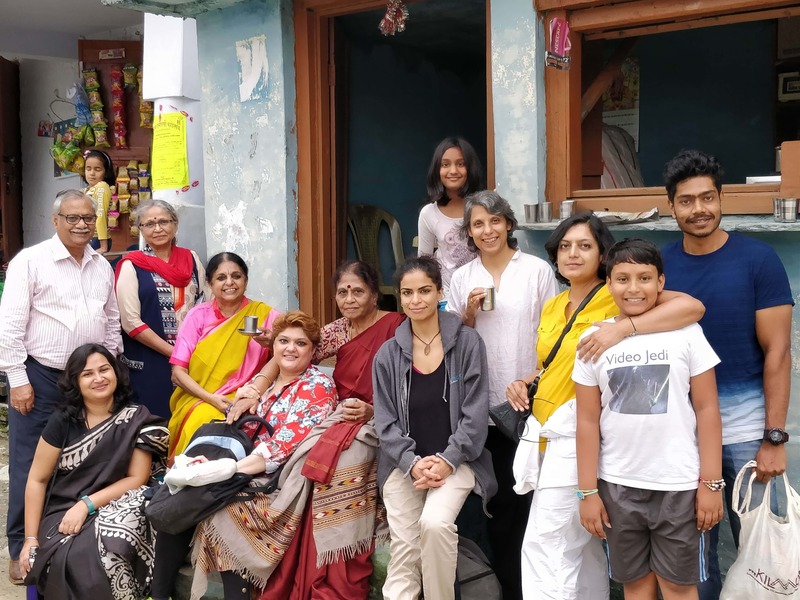 She uses storytelling as an effective educational and cultural tool for parents, teachers, NGOs and corporate sectors both in India and abroad. Get in anytime that day. We start the workshop with one session that evening at 5 PM. That evening, get to know each other and share stories. A bonfire makes the perfect setting. First half : Introduction, listening skills, elements of storytelling. We dig into what makes for a good story, and we understand why listening is important for a storyteller. We break a story down to its basic elements. Second half : Pillars of storytelling, what is storytelling, expressing a story. We work on understanding the core of storytelling, and also start practicing the various elements of telling stories. You tell a story with everything you have. That includes your voice, your body, your face expressions - every part of your being. For becoming a better storyteller you have to train each of these – you train your voice, you work on your body and movements and so on. The best stories are the ones which come from inside you. And the best way to learn is to do. So in this segment you create your own story, and tell it to your fellow participants. In doing so, you apply all the principles you learnt. You receive your hard-earned certificate. We close the retreat with all participants sharing feedback.